A fascinating fact about from the history of mass media: It was soldiers looking for something to do on their downtime during the Second World War who helped popularize the paperback book, which would become a defining element of American popular culture in the twentieth century. “Never had so many books found so many enthusiastic readers,” Cole later wrote. As Manning tells it, “servicemen read them while waiting in line for chow or a haircut, when pinned down in a foxhole, and when stuck on a plane for a milk run.” Some soldiers reported that ASEs were the first books they had ever read cover to cover. Troops cherished their shipments, passing them around up to and beyond the point of illegibility. “They are as popular as pin-up girls,” one soldier wrote. “To heave one in the garbage can is tantamount to striking your grandmother,” quipped another. 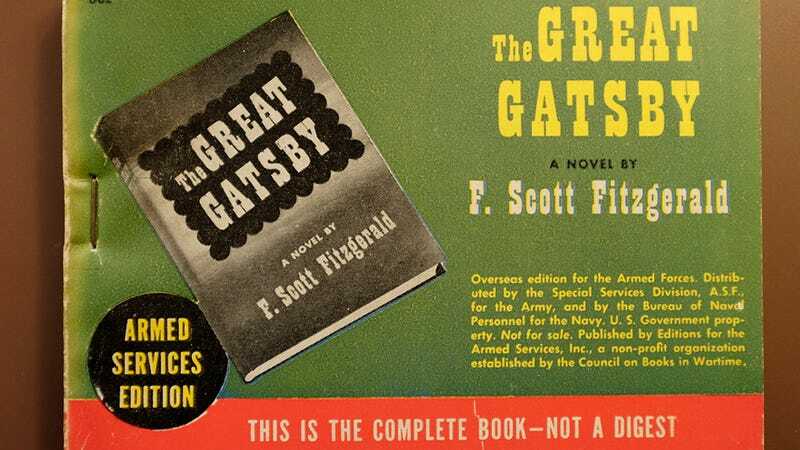 It was diverse array of books, too, from A Tree Grows in Brooklyn and The Great Gatsby, both of which were very popular, to spy novels and nonfiction. They were market disrupters. They put pressure on the hardcover houses, and that meant putting pressure, in turn, on the legal regulation of print. What you could publish in the United States and Britain in 1965 was radically different from what you could publish in 1945, and pulp paperbacks were part of the reason. In the process, the pulps lost their clout in the book business. But they died so that Philip Roth and Erica Jong might live. If you’re keen to know more about the history of paperbacks and American culture—AND I KNOW YOU ARE—I highly recommend Kenneth Davis’s Two-Bit Culture: The Paperbacking of America, which is out of print but widely available used. Read the full Atlas Obscura piece here. New York Times coverage, September 28, 1943.